Anemone. A medium fuchsia with blue-purple flash. Slight shimmer. Chroma. Super shiny silver foil, very dense pigmented formula. Limoncello. This is a new shade, re-using the name from last summer's collection. One of three colors with recycled names, confusing, I know! This year's Limoncello is much better than last year's shade. This is a glowing, gilded lemon lime shade. Very, very yellowy green, metallic finish with hints of orange shimmer, marginally streaky. This is my favorite shade in the collection and it gets extra points for not being sheer like the last Limoncello. Lira. Gold foil. Yellow toned. Not as dense and pigmented as Chroma. Maraschino. Not to be confused with the previous year's Maraschino, which was a lovely bright cherry-coral. 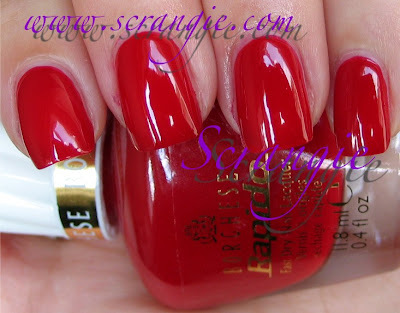 Maraschino 2011 is more of a plain hot pink creme. Not particularly bright or bold, pretty much an 'average' pink. Marino. A dusty medium blue creme. I know it looks bright and clean here, but it does have a softer, dustier finish in real life. Really very pretty. Menta. Menta 2010 was a ridiculously sheer turquoise- a five+ coater. Menta 2011 is much improved. This Menta is a creamy mint chocolate chip ice cream green with some very subtle blue shimmer. It's still sheer, but this is three coats and, though it could use a fourth, is mostly opaque. Mochaccino. This is one of those purple-brown-taupe type of shades. The base color is more on the brown side but it has some nice complimentary purple shimmer in it. Siena. This looks like a very pretty color- a rich, sparkly light brown with little hints of gold sparkle. And it is a pretty color... It's the formula that's ugly. This is inexplicably sheer and watery- none of the other shades are like this. What you're seeing on my nails is six unruly, watery coats. Six coats and it's still a bit see-through when the light hits it. I like the color of it but I can't recommend it due to the nightmarish formula. Vigneto. Nice deep purple shimmer with a bit of a red and gold sparkly shimmer running through it. Not really unique, but a good shade of purple regardless. Overall... Well, I'm not moved by the color selection or the formula. My favorites (in order of preference) are Limoncello, Marino, Menta, Chroma and Mochaccino. None of the colors are ugly, but they're not unique and are easily dupe-able. 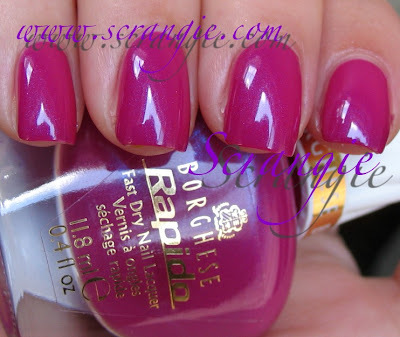 The formula on some was not what I hoped and anticipated it would be based on my previous experiences with Borghese polish and I didn't find the fast dry claims to be true. 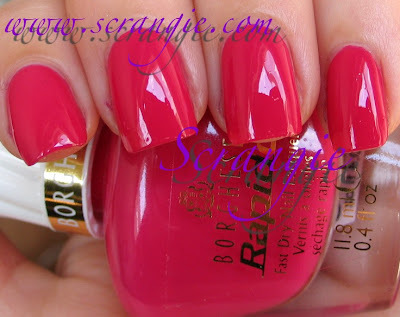 I much prefer the regular Borghese line's formula and brushes over the Rapido line. One thing I do really like is the pretty bottle. I like the vintage looking shape of it, looks very cute. These are available at Ulta and are $8.00 each. This is generally a meh collection for me. I think I like Mentha best but at 3, possibly 4 coats, I think I'll pass. They're pretty but I will hesitate due to the subpar formula. Thanks for reviewing them so I can save my money! I like Marino and Menta the best but I'm not in love. Stinks that the formula isn't good. 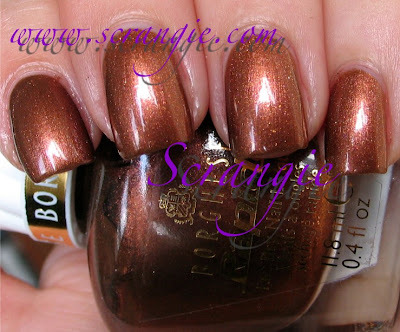 If these are fast dry, do the other Borghese nail polishes take even longer to dry? I love Limoncello, Menta and Siena.. shame about the formula issues, though. Limoncello is a really strange polish. The more I look the more I like! I like Menta and Sienna. I like this collection. Agreed with the frustrating formula on Siena, so it wasn't just a bad bottle. When I wear it, I wear two coats of Siena over one coat of SH Insta-Dri Mochachino. They make a great layering combo.